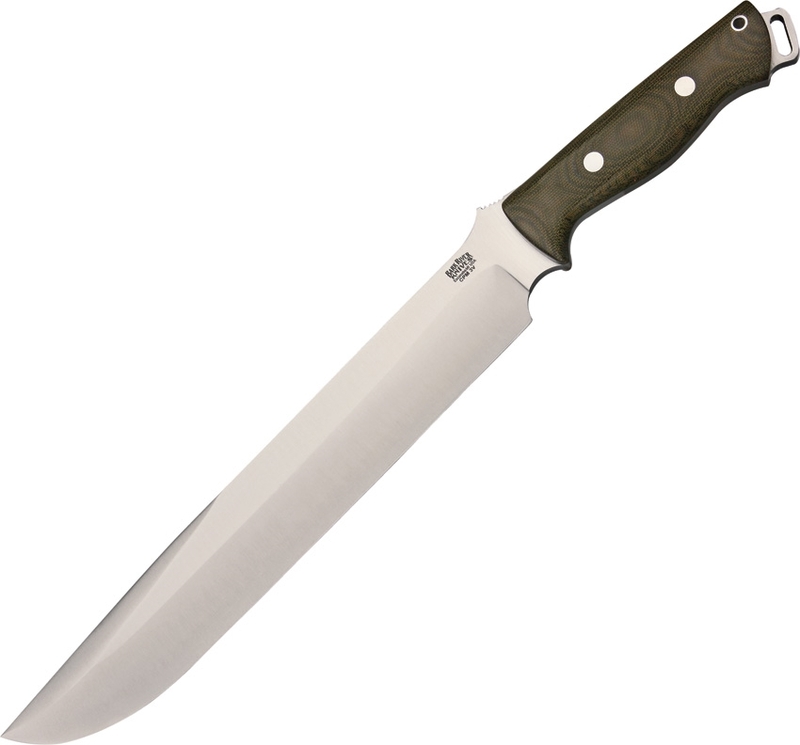 Bark River BA07321MGC Bravo III Green Canvas Micarta Knife. 16 7/8" overall. 11 1/2" brushed finish CPM 3V stainless drop point blade with thumb ridge. Full, extended tang with lanyard slot. Contoured green canvas micarta handles. Lanyard hole. Brown leather belt sheath.